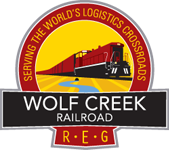 On January 1, 2019, one of Rail Enterprise Group’s newest operations, the Wolf Creek Railroad, will begin operations at the Milan Commercial Complex in Milan, Tennessee. The Milan Commercial Complex is a 20,000+ acre facility featuring hundreds of thousands of square feet of existing building space and over 100 acres of industrial zoned land available for development. The Complex is strategically located one of the largest logistics hubs in the country and only 110 miles from Memphis, Tennessee. Its central location will provide excellent regional market penetration and quick and easy access to major shipping lanes (rail, highway, and seaway) for rapid movement nationally or overseas. The Rail Enterprise Group has already started the process of bringing our successful logistics center model to the Milan Commercial Complex. The new logistic center will offer customer-centric, multimodal transportation services combined with industry-leading transload, cross dock, warehouse, and packaging services. Because the Milan Commercial Complex is part of a large Department of Defense facility, it also contains unique, specialized infrastructure – including 4,500 rail car spots – that will allow it to handle an even greater range of services and commodities. Wolf Creek Railroad crews will provide multiple daily switches to all customers allowing very efficient utilization of rail cars and enabling customers to limit (if not completely avoid) demurrage costs. REG is working to develop cross dock, warehousing, bulk products transloading, reloading, and on-site trucking services from industry-recognized 3PL partners. These services will be able to handle a wide range of products: automotive parts and materials, plastic/resin/chemical commodities for the extensive plastic/chemical industry in Tennessee and Midsouth region, agricultural commodities, steel, lumber, paper, machinery and heavy equipment, a variety of non-hazardous bulk products (dry and liquid), and more.. Car storage: individual cars or unit trains; long-term, short-term, awaiting lease, or loaded storage-in-transit (non-hazardous only). AAR-certified car repair facility – maintenance, repair, cleaning, and more. A team of professionals to assist with the coordination of rail deliveries, transloading, warehousing, trucking, and car storage and repair. Site selection and leasing assistance. 86 miles of rail and one switching yard with a total capacity of 4,500 carspots. Railcar maintenance and cleaning on-site. Select TN Certified Site property available at facility - 107-acre Graball Site. Manufacturing support program available. REG will develop up to 100 car spots for bulk products transloading. Lots available for reload and lay-down areas. Routes to and from the Wolf Creek Railroad via CSX Transportation and the West Tennessee Railway (Norfolk Southern, Canadian National/IC, and Kansas City Southern connections). The Milan Commercial Complex is located on Highway 45E, only ½ mile from Hightway 70/Alt79. I-40 is 18 miles away. The Park is in close proximity to the major logistics centers located throughout the greater Memphis area. The international Port of Memphis is 110 miles away by highway, with private port facilities available in nearby Dyersburg/Dyer County.